Check out Ladbrokes Live Casino for a chance to win a share of £10,000 just by playing at the live casino tables! Be sure to get a move on though as the race to claim the 400 prizes on offer ends this Saturday. Opt in to the summer £10k promotion as you begin your quest to climb up the leaderboard. You’ll start from the bottom but for each £20 you spend at the Live Casino, you’ll be credited one point. 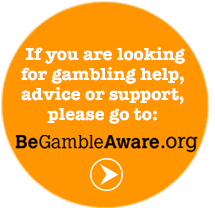 All Live Casino games are included so whether you fancy some roulette or some baccarat, Ladbrokes has you covered. You do not have to spend £20 in one go in order to claim a point, any bets made, across all tables, will all be added up to reach each £20 milestone. By earning one point you will also be entered into the random Live Casino draw the following day. This runs for the duration of the promotion meaning you have the chance of this additional prize every day. Up for grabs are plenty of bonuses worth between £10 and £50. These prizes come with a low x5 wagering requirement but be sure to accept them within two days of them being issued. Once you have done this you will have an additional seven days to meet the wagering requirement. You can collect leaderboard points until the deadline of Saturday 21st July 23:59 (UK time). As soon as the clock hits midnight, the leaderboard is locked in and there will no longer be time for a heroic surge up the table. 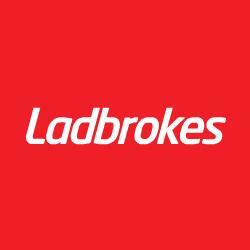 What new customer does Ladbrokes Casino have? If you are yet to sign up to Ladbrokes Casino, make your first deposit of between £10 and £50 now to receive a 100% bonus of up to £50. Check out the full terms and conditions at the Ladbrokes Casino site.